It has always been my dream to visit Iceland. It has been on my bucket list since I can remember. As a kid I would always confuse Iceland/Greenland. 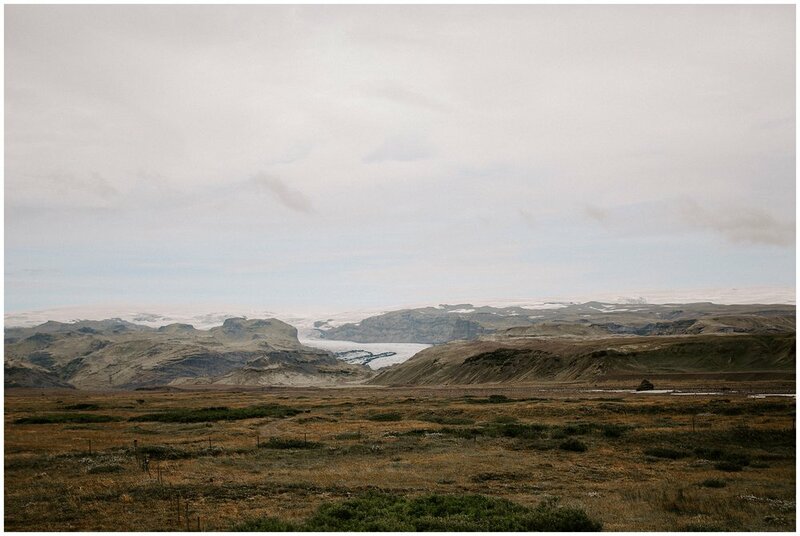 I remember seeing a beautiful photograph when I was around 11 years old and told myself one day I'll visit Iceland. As the years went by and I hit my teenage years I always said I would go to Greenland thinking it was Iceland.. haha! After almost waiting for 15 years since I've seen that photo I finally made it! 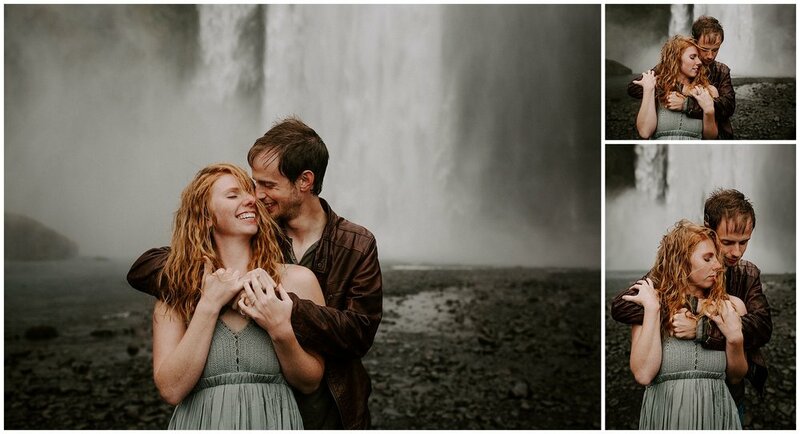 My beautiful friends sister in love and brother were going to Iceland the same time as I was for their anniversary so It turned out PERFECT for me to be able to capture their one year anniversary! 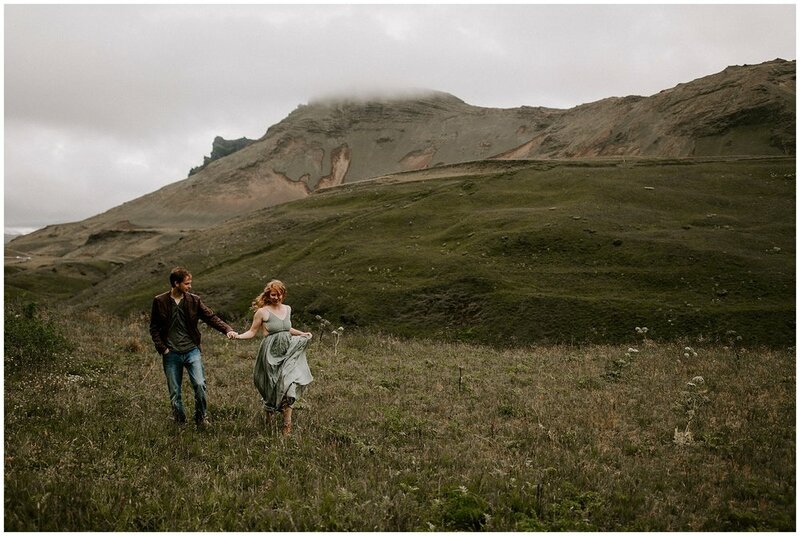 Tori + Klayton were soooo much fun! 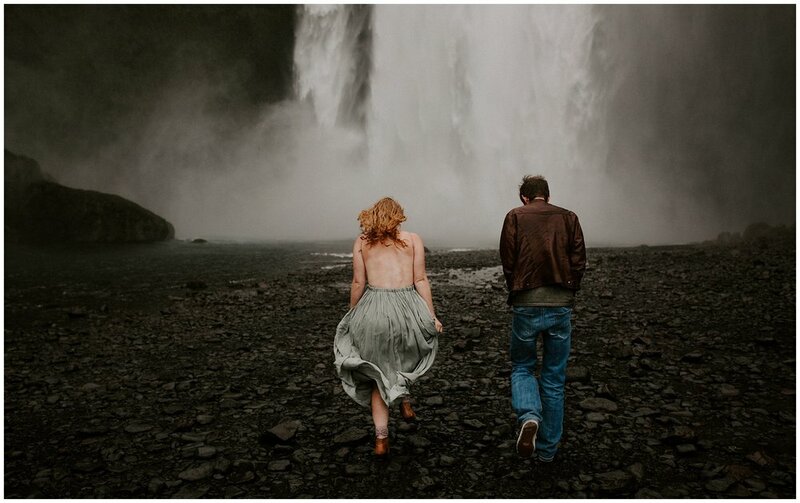 We roamed around Vik, Iceland and ended our adventure at Skógafoss waterfall! These two braved the wind and cold weather. We still managed to get some EPIC shots and once we saw a pretty place we would stop on the side of the road and take some photos. Forever grateful for this opportunity! You drive so much I would recommend getting a camper van and camping the whole time that way you don't have to drive back to your Airbnb every night. Bring LOTS of snacks! A lot of places close early so the snacks came in handy. Check out all of the Hot Springs. That was my FAVORITE! Don't forget to get lost and explore a little. If you are going and would love recommendations shoot me an email!